The watch was what I wanted, with a back light. I needed an emergency timepiece. Perfect for someone that plays a lot of sport. Durable and water resistant with a plastic strap that fits comfortably around your wrist for all day and everyday use. I bought this watch for my teenage daughter for Christmas. She is pleased with it its her favourite colour and she likes all the features that the watch has. Perfect gift. It is a timeless classic that is cheap and highly fashionable so Im told by my 12 year old daughter. You can not really go wrong with this watch it does everything that you would need and it is of good quality and quite durable. There are loads of colours to choose from so it will match any ocassion. The watch strap is a little small for adults if you have large wrists and from experience the strap can come away if stressed. However this is easily and cheaply fixed. Great little watch with a classic look, does the basics like you expect it to. Bought for my 14 year old daughter who loved the simple design and the colour. A good experience all round bought for my daughter she was very pleased. The watch is a lovely light blue colour...I havent really used it yet because I have bought it to wear in South America and wanted a light waterproof watch. I found the instructions on how to set the watch and all the associated alarms etc. thorough but slightly tricky. Im still 12 hours out on the wrong side of the 24 hour clock!! But once I get the hang of that it looks to be exactly what i need. Absolutely brilliant product with brilliant service. Will definitely order again. I purchased one of each colour for a group of friends to use at festivals this year, the watch itself is a classic and robust design which can last for years. The order was quick and painless and the delivery time was outstanding! Thanks Watch Shop! Bought this as a gift for my daughter who wanted a waterproof watch to wear for summer swim camp, really pleased with quality and colour, for a small wrist the size is great. This watch is everything it is cracked up to be .. durable, light, and tick-tock accurate!! Really happy with this watch, it was at a great price and I love the colour. I was so impressed with Watch Shop as the delivery was free and it arrived so quickly. Would definitely recommend both the watch and Watch Shop. Very nice watch. It arrived earlier than expected. Fantastic little watch, light, flexible and just want my daughter needed. So pleased with this watch! Very comfortable for my 12 year old daughter to wear, easy to use and looks stylish. 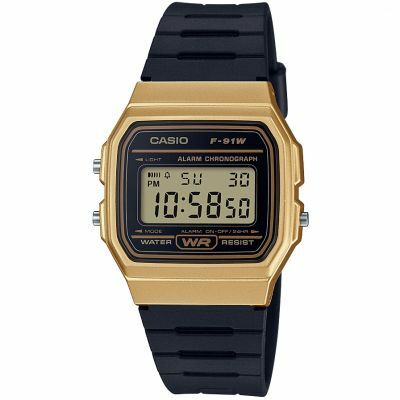 Previous Casio watches weve had in the past have lasted years and years. We knew what to expect....the watch was bought to replace a pink version of the exact same model. So, that speaks volumes for what we think of it. The pink one was about 2 years old and you probably know this if used 24/7, whether at work or play....in UK or Australia.....the strap ends to show signs of age. But, we believe that is only to be expected....the light blue is beautiful and, if, say, only used when going out socially it would last for many years....at less than £15.00, you cant complain about that. Instructions on new one were exactly same as thos in original. They are 100% correct....but, perhaps a little difficult to follow. Fantastic value. As a new mum I wanted a watch with a backlight for night feeds and something that I dont need to worry about damaging. The bright colour is great and I like the retro design. I would have preferred it if the strap was a softer rubber as it would be more comfortable, especially for sleeping and resting a baby on! Another quality watch from the watch shop came within 2 days again too. I think this watch is fantastic. It has the date, time, alarm and even a timer. This is a very useful watch for your everyday needs. Using the alarm can help you keep organised. 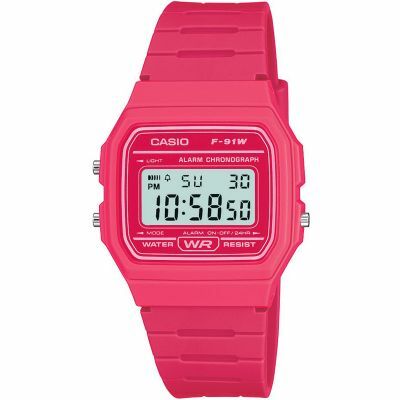 Last for not least this Casio watch is at a remarkable price with everything you need right there! Easy to use and easy to read too. Nice Watch, Delivered within 2 days. This was purchased for my nephew on his birthday, from the look on his face he was very pleased. He had been wanting one for a while, so happy customer. Bought as a birthday present for my daughter, lovely colour, she is very pleased and her 17 year old brother said it looks good too! A fab watch, as described and perfect for what I needed. Thanks! Could not fault the service from The Watch Shop. I opted for the Click & Collect delivery option and my item was ready for collection the next day. Love my watch. Was looking for something cheap to wear on our camping holiday this year but I have worn this almost every day since it arrived. Lovely shade of blue too. Great watch at a great price. I am very pleased with this watch,it is just what I wanted, not heavy, easy to read,and looks nice. I like the fact that you can choose between 12 hour and 24 hour time. The only difficulty was that my hands are arthritic and the settings controls were hard to do.I compared between other make and think I made the right choice. Perfect watch. Cool, classic, light and reliable! Not to mention that 20 years on its now cheap! These watches look even better in person. Although its worth noting that they are small. Have only had this watch a short time, but the green version that I brought a while back is the most accurate watch I have some of which cost hundreds only gaining a couple of seconds a month. To some up this little watch does its job as good as watches costing tens of thousands. And in its own way looks just as good as anything else out there. Can’t really say enough good things about it. The service and speed the delivery was made excellent. This series of Casio watches in all colours is great for mix & match I have now all colours so far. 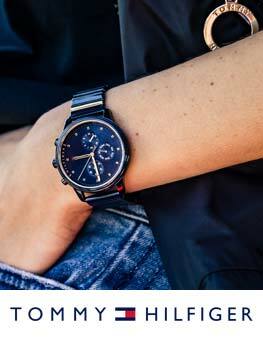 Wicked watch, looks great and so comfy. I bought 3 as presents for Christmas then got one for myself as everyone loved them. Great watch, great value and really versatile design. Silicone strap and splash-proof digital display. A trendy take on a classic watch design. The colour and price of these watches are brilliant be very light wearing and easy to use and set up! Helpful features are the small light and alarm! Great gift for someone who love a bright watch! Overall the item is great. Good colour. Good fit. Looks great. Everything is in working order. Item and post packaging was in good condition. I have already reviewed this product, which arrived within 3/4 days of ordering, after adjustment to the strap length. Excellent service and know Casio is excellent product so happy with purchase. Not used as its a Xmas gift for my 11yr old daughter. Looks fun, light weight and face not too big shes a tall girl and more a small ladys size. Hoping shell get used to watching time before starting secondary school! Excellent classic casio, looks good on in a retro fashion. Bought it for my daughters birthday, she was totally happy, shes happy, im happy! Hi, I received this watch with a fast delivery, only three words to describe it: Fresh, Light and Smart. All my friends want it, but the shops here have not this f-91 model. I used the watch in the swimming pool and in the sea no problem. The light is ok, lights all numbers in the dark . 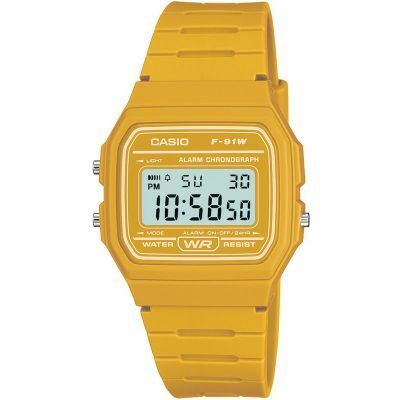 I like this casio because is very simple and in the same time so serious. watchshop sells at the lowest price of all, thank you!! I would suggest it for all people which want a casio for all days in any situation. 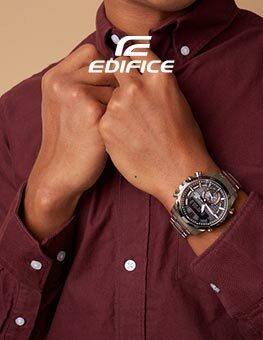 A watch which has marked the story and it has been modernized with this new colors. Lovely shade of blue. Great value as always for this watch. A present for my sister. Brilliant little watch. 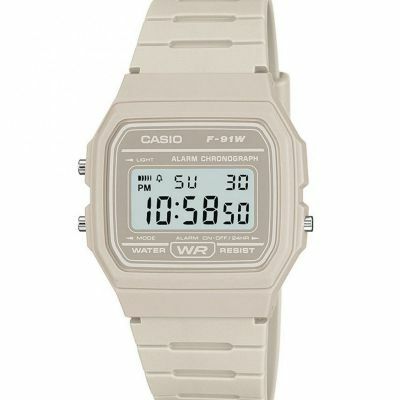 Cheap and cheerful but dont be fooled by the price - very good and sophisticated technology from Casio. Great unique colour, surprisingly goes with everything and not too bulky, either! Good price and quick delivery. Would use this website again. Lots to chose from. I was pleased with all aspects of this watch apart from the backlight which does illuminate the time on the watch very well. Great customer service, very helpful! Great for the first time watch! Brilliant colours! Great watch, nice colour. Brought back memories. Bought for my niece and hope she likes it as much as I did the first time around. The watch arrived very promptly and looks great! The perfect gift. Im really happy with the service I received. Great watch, good for sports or just everyday use, easy to use, although the alarm is slghtly tricky and the blue is a great colour! Great watch, exactly as pictured and really easy to use. Fab value for money! I have steady recommended it to friends! The item was really good, just the colour that i wanted. Was slightly disappointed at the watches strap as i felt it couldve been a higher quality, however it does match the watches colour and look as though it will be a watch i can wear for a long time. 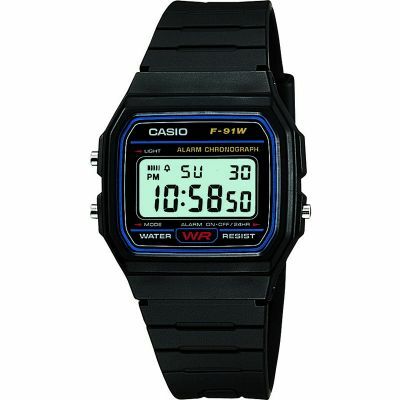 This is the second generation of the Casio F-91W watch. 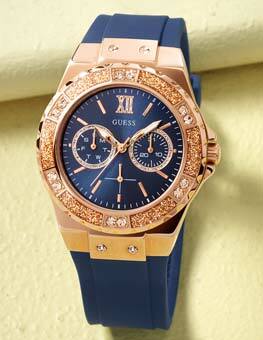 The blue colour is vivid and bright and looks wonderful on the wrist. The colour compares much better to the yellow version, which is actually quite dull. Been eyeing this watch up for myself for ages now.But my sister had been wanting one as well. I brought this for my sisters 23rd birthday, i have to say it is the best thing ive ever bought. The price is a STEAL compared to other retailers, super fast delivery and the packaging wasnt at all damaged. Definitely water resistant, been swimming more than once and it hasnt harmed it. Colour will suit everyones skin tone, shes pale and it looks great. Will definitely be repurchasing. Very good quality . Amazing customer service with high standars delivery .watch its for a present , good price , good fashion design ! 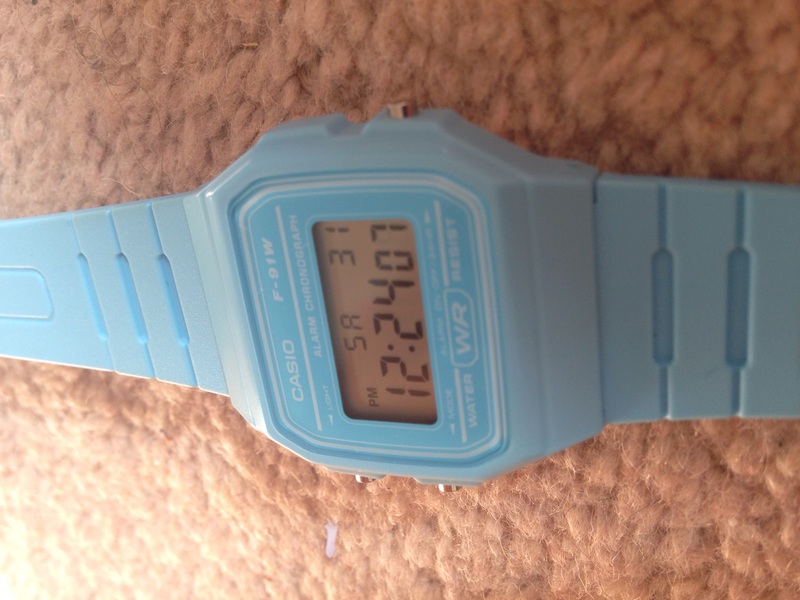 The light blue casio watch is exactly what I was after. I am a primary school teacher and wanted something cheap but also fun and brightly coloured. The children love the watch and I love the nostalgia that an old school casio watch has. If youre looking for something cheap and functional but offers a great variety of colours then this is a definite! Comfortable fit, vibrant colours: perfect for summer! I am very happy with my new casio watch. i like the fit of the watch, although digs in sometimes. Then i go to loosen it by one hole and then its too loose, but only sometimes. The instruction manual was very clear in some places and not in others. It took me about 20 minutes to set it up. I wouldnt say the colour of the watch matches the picture online, off by a little, I think its a brilliant watch for a brilliant price. Excellent product was received within days and very happy. Fashionable watch while also being practical. Light and very easy to use. The colour is fab - i already have a green one and want more! 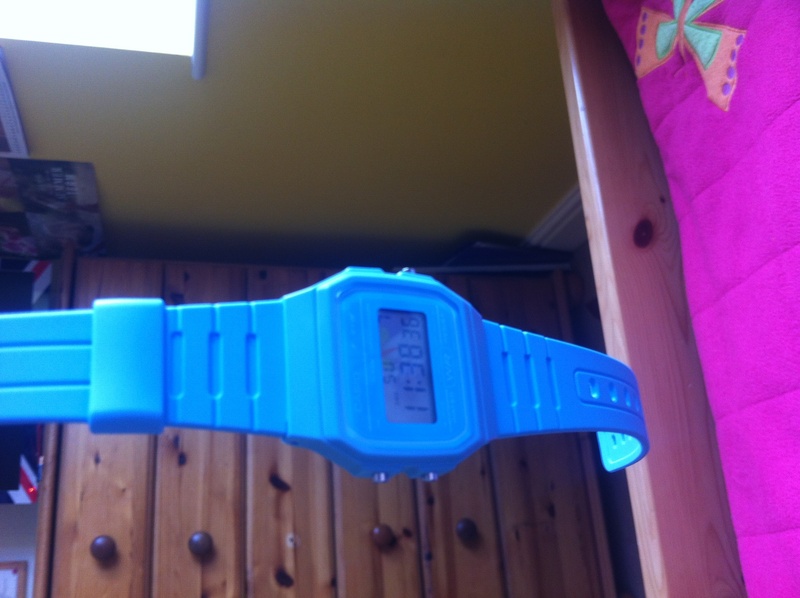 Good quality watch, great baby blue colour. It doesnt look too young, but fun to wear if you go out to match your outfit, rather than the bog standard gold/silver. Casios always last long, great make. The service was very prompt. The watch is slim and light watch is a lovely baby blue colour. Its perfect for working night shifts as a nurse as it tells me the 24 hour time and the day and date when my tired mind forgets. Recommend for a budget reliable splash proof watch. My niece asked me to get this for her birthday she loves it. Perfect colour, very durable great to wear for all occasions. Love the colour. Would recommend. Very good. Instructions slighty confusing but all ok. Love the watch. Bought this for my 16 yr old boy. A different take on the original black version. Retro with a twist. Loves it. Still a top watch after all those years. What I like: neat-sized watch, lovely shade of blue, great functional use as alarm clock and stopwatch, good value, comfortable wrist strap. What I dont like: Ive have it only two weeks but so far Ive not found anything I dislike! My daughter needed a watch for travelling on a school expedition. This seemed to do the job well. She loves the colour and it has all the necessary functions. We have yet to see how well it stands up to the rigours of expedition travel. Watch is fab! Really fadhionable great colour and has the retro look. Easy to set up and use stop watch. Feels great on wrist hardly notice its there! Product was what I expected. Its retro in looks and style and I would not hesitate to recommend if this is what you are looking for. I chose the baby blue colour and I was not disappointed. An overall excellent experience with the watch shop and I will be recommending to friends and family. Trendy take on a classic! Love the colour and style, am allergic to nickel so find it hard to find watches which I can wear but this has been fine. I bought this for myself and am really pleased with it. I nearly went for a watch that had a bigger screen but this size is perfect for my girlie wrists. The light isnt amazing but does the job. Havent used the alarm yet but am very happy with every other aspect of the watch. Received my watch today and delivery was amazingly prompt and efficient. Already fallen in love with it, the colour is gorgeous and all the settings are so easy to use. Seems like the perfect little watch for me, and I am sure many others!! I love this new watch. The lovely blue colour brightens up any outfit! It is also very easy to use and the time/date or set the alarm. The stopwatch function is very handy too. Overall I would highly recommend this product! 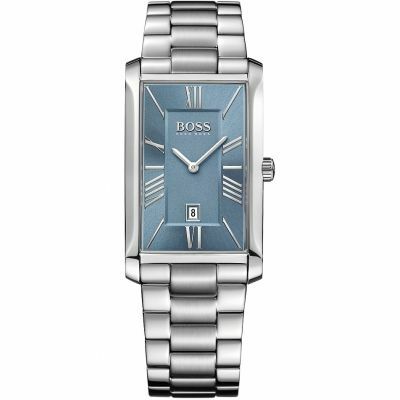 This item is a perfect fashionable affordable watch for the summer time. Its light weight body and slim size makes it ideal as an accessory to complement the summer colours. The colour is the ultimate sky/baby blue. great watch, funky colour with it being very lightweight and water resistant it is perfect for using during outdoor sports such as sailing and surfing. But it is also very funky looking and a great accessory on a night out! I bought a casio watch on Wednesday afternoon from the Watch Shop and it had arrived by Thursday morning. I was very pleased with how quick it came with free delivery, other places would take ages knowing the delivery was free. Also, the watch shop kept me d with my purchase and what part of the process it was in. I am very happy with the service as well as the watch and will be returning when buying another watch. Thank you. I bought two watches for my daughters. Fantastic colours and value easy for them to use. The service was very good and the delivery exceptionally quick. 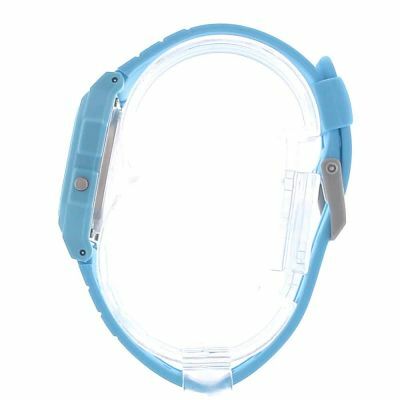 so far (only had it for a week and a half) a good water proof, steam proof watch...i wore it for a 3hr spa session at multiple swimming sessions...has held out very well. Good colour match to computer screen and easy to work functions. this is a great product. i like simple fashionable watches like this and i like everything about it. Awesome watch, just what I expected. Works fine. yeah also the picture is a little lighter than true colour but I knew this before I bought it from other reviews. still a nice blue. Also delivery was fast and good free delivery recorded. Product was ordered before the 4pm time during the christmas run up and delivery turned up the next day. Very pleased with this service as i have experienced so many problems with other online stores with the ordering and/or delivery service. The product itself online shows that its a turquoise blue colour, but in real life its more of a baby blue colour which I knew because i'd seen it in a shop but people ordering online may not know this. Very nice digital face, vibrant colour, retro style, not too big or too small. Its ideal for a man or a woman and teenagers. Bought as a gift for xmas so can't comment on its performance. 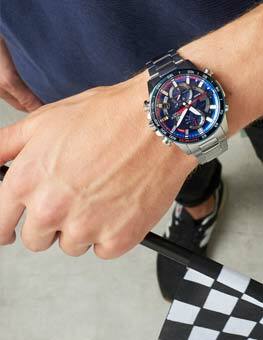 This is a cool and funky watch. I love the colour and the retro, 80s style. The buttons and settings are a bit fiddly. However, I bought this for the appearance, not the functionality! It reveals the date and the time, digitally. There is a stop watch function too. I bought this item as a gift, and is exactly what I was expecting. 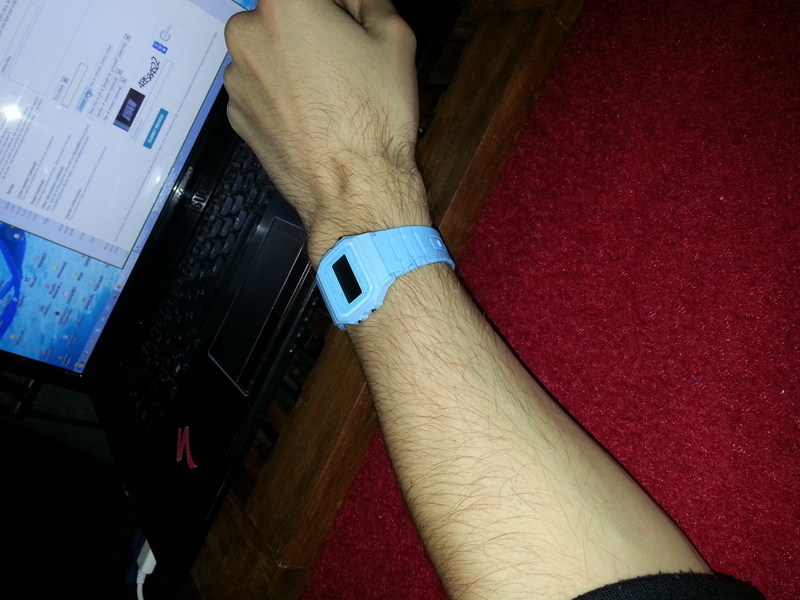 I own one of these watches myself, and this blue one arrived looking exactly like the image on the site. The watch is a perfect accessory to any style, the colour is really bright and playful, without looking tacky. It has a really low profile so doesn't catch on clothing or pockets, in fact you can barely notice that you're wearing it most of the time. The features are great, it even has a back-light for those late night covert operations! The only downside is the alarm which gets really annoying if you didn't mean to leave it set. All in all it's an utter bargain and looks great, I can't see myself replacing this watch for a long long time! All good with the watch, a xmas present so can only hope they like it as much as we did. Will buy again from Watchshop, great service. Great little watch. It has great features but is still very simple to use- nice alarm, good light and easy stopwatch. A very casual look and the colour (blue) was a little brighter than expected-quite a young, fun look which might appeal to young sporty people. The plastic strap is soft and easy to use- a great fit. It is plastic, though! Definitely not for a smart occasion. I haven't tested it for water resistance yet but hopefully it will be great for the purpose that I bought it- swimming. If you want a simple , water resistant , easy to wear watch then this is great. But if you want a smart watch to wear at work or formal settings you may want to look elsewhere- but I like it! I like the Casio watches because I am allergic to nickel and I can cover the back of the case quite easily in order to protect my wrist. I also like having a watch with the date. I have so far bought two of these in different colours and am contemplating buying a third. The alarm is also very useful although I doubt if I will ever use the stop watch facility. The are not really suitable for a dressy occasion but for work everyday they are great. Nice little watch - bought for on the wards as I needed the date function and for it to be waterproof and easily cleaned. Lovely colour too. The product is exactly as described and just what I wanted. It has a alarm clock and stopwatch, and volume is adjustable. The colour is fab and isn't too bright. The beeping every hour can be a bit annoying but this can be turned off. This watch was just what I needed for work, with a light, an alarm and it's waterproof. It's also stylish and fun so that I don't feel the need to remove it once I've finished work!! Like the watch. Is not as vibrant a blue as in the picture, more pastelly blue. Thin and light but can't go in the shower with it. Overall am very happy with it. Would like to find out how to clean it though. Arrived quickly, works great, looks cool. The blue is a bit different than the picture but still nice. Love the watch! not quite as turquoise as it seems online but is a nice shade of blue. lots of compliments from others too. I love the colour! It's simple and nice. Very basic functions. It is a bit small for guys though.